As refreshing as that ice cold summer cocktail, an all white ensemble makes a clean, cool statement. Going for head to toe white may seem a little intimidating to some, but paired with the right accessories, this tonal look can be very chic and put together. As some of my pervious posts will tell you, I have a serious affinity for white. So for obvious reasons, this season head-to-toe trend is on my “must do” list. Here are 5 tips to help you make this monochromatic ensemble feel new and fresh, so cleanse your palette and don’t be afraid to “white out”! Layering your whites will help add depth to your overall look. 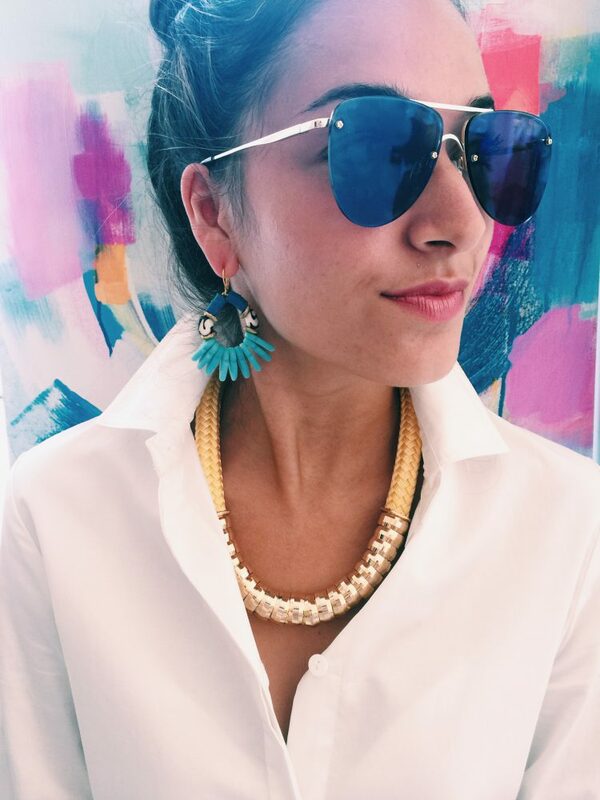 Being creative with layers is a great way to show off your styling skills! They call it a Dress because put it on and you are “dressed”. This is by far the easiest way to adopt the all white trend. Pair with some minimal yet eye catching accessories and you are good to go. Keep your look from appearing flat by playing with different textures. You want to avoid looking like a healthcare employee, so pair cotton with chiffon and silk with denim. 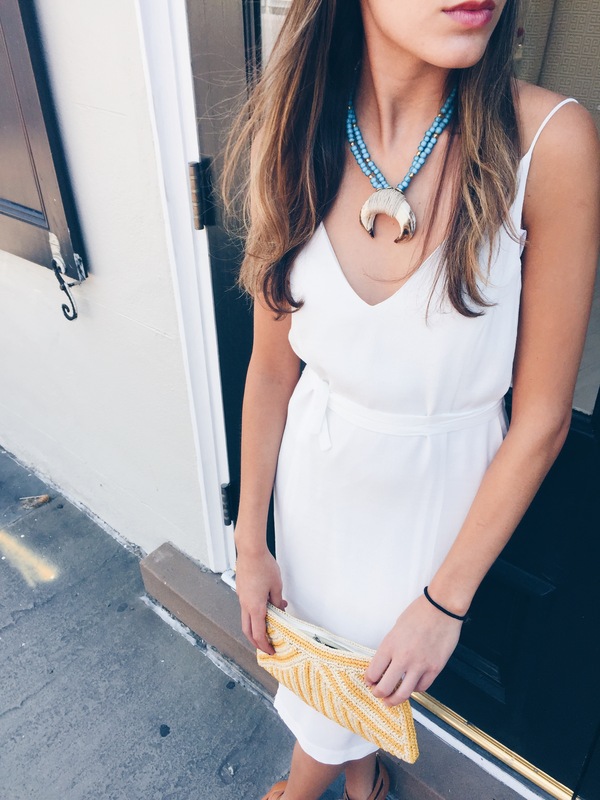 All all white look is the perfect backdrop for all your bright, favorite jewels. Have fun with your look and don’t be afraid to experiment. Sometime less isn’t more! 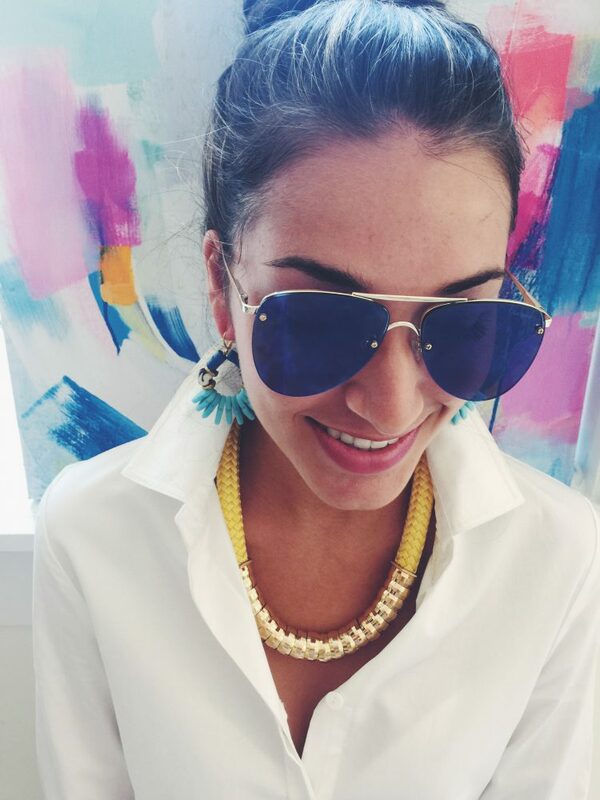 Nothing anchors a look like a killer necklace. Glam it up with a unique conversation piece that truly will shine paired with any bright white ensemble. Feeling inspired? Now is the time to brighten up your Summer wardrobe with this timeless hue. How will you rock an “all white” look?